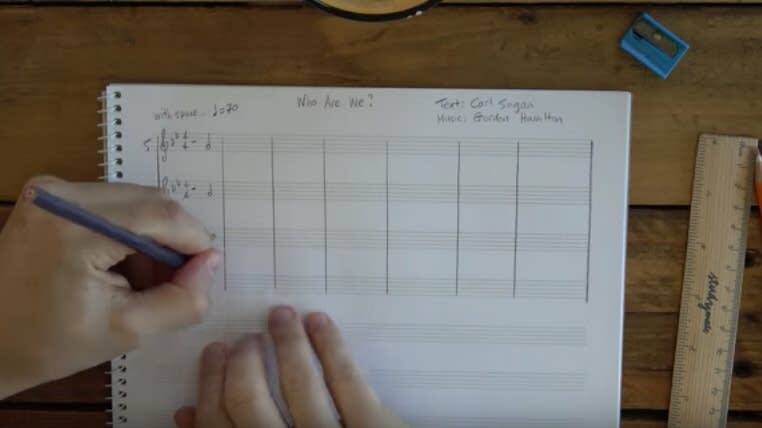 A hauntingly beautiful choral work by Gordon Hamilton has been transformed into a meditative video, in which we see the composer writing out the score in time with the music. "We find that we live on an insignificant planet of a hum-drum star lost in a galaxy tucked away in some forgotten corner of a universe in which there are far more galaxies than people." This recording is performed by The Australian Voices, which is led by the composer himself. Watch the thoughtful and reflective video below.